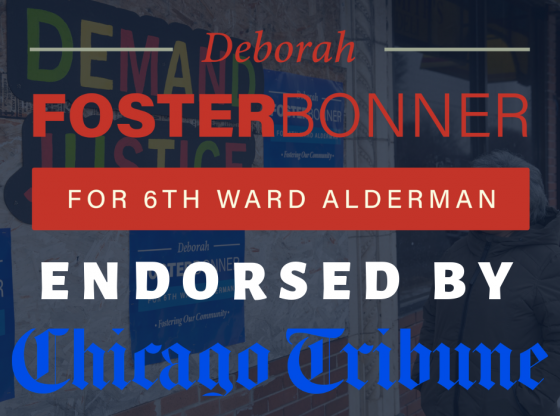 Alderman Sawyer is distributing literature the suggests challenger Deborah Foster Bonner will get rid of worker’s pensions. That is false and totally unsubstantiated. In response Deborah published another hilarious video. Sawyer also falsely insists DFB will close neighborhood schools and invest more in charter schools. Sawyer voted to close 50 schools in the Black community. The majority of 6th Ward voters said no to Sawyer during the February 26th election. You would think he would have learned from his mistakes.